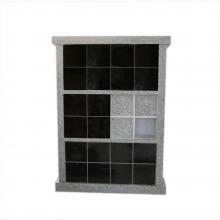 Double Sided with large outer door covering four 11 x 12 x 11 inch niches. Inner doors over each niche. Available in other colors or sizes. Niche Dimensions 11" x 12" x 11"